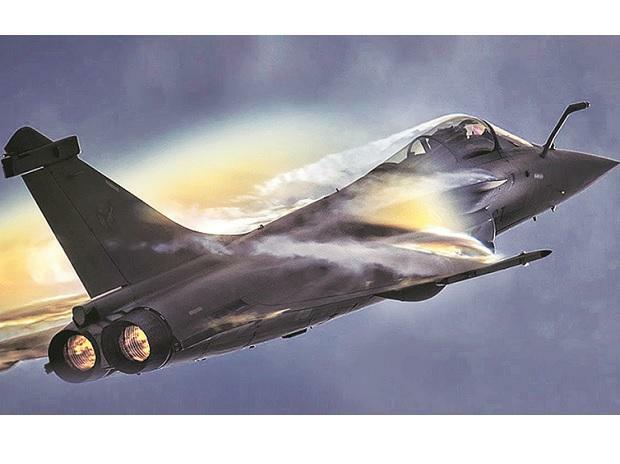 The Rafale deal issue rocked the Lok Sabha Friday, with Defence Minister Nirmala Sitharaman dismissing the media report on the deal as "flogging a dead horse" and slamming the opposition for playing into the hands of vested interests. Amid the opposition uproar over the Rafale matter, Sitharaman made a suo motu statement on the issue in the House. Immediately after the House convened at noon, members from Congress, TMC and TDP jumped in the well shouting slogans and showing placards referring to a media report which claimed that the Prime Minister's Office had interfered in price negotiations in the multi-billion deal to procure Rafale jets. Opposition members were heard shouting slogans demanding resignation of Prime Minister Narendra Modi on the issue. Opposition parties also demanded constitution of a Joint Parliamentary Committee (JPC) to probe the Rafale jet deal. Lok Sabha Speaker Sumitra Mahajan asked the slogan shouting members to go to their seats as she would allow them to speak on the matter. Referring to the media report, Saugata Roy (TMC) alleged that parallel negotiations were on when the defence ministry's negotiating committee was handling the matter. He also alleged that "notorious" National Security Advisor Ajit Doval was conducting parallel negotiations in Paris, undermining the bargaining power of the government. "It concerns national security...(Prime Minister Narendra) Modi is destroying the defence of the country and undermining negotiations...Why PMO interfered?. Rafale stands out to be a biggest scandal," he charged. Intervening in the matter, Mahajan said a newspaper will write anything and "you are raising the issue". Sticking to the demand for constitution of JPC, Leader of Congress in Lok Sabha Mallikarjun Kharge dubbed the government as anti-national. "You (government) are anti-national. You indulged in stealing but are instead blaming us...You are buying only 26 jets as against 126," Kharge said. He alleged that the defence minister and the prime minister's office were fighting on the issue and the matter has come out in newspaper also. "That is why you need to constitute JPC as the reality will come out. All files would come to JPC. We do not want any other explanation...we do not want to listen to anything," he said. On this, the speaker said discussion has already been conducted on the matter. Union Minister Narendra Singh Tomar said the government participated in the discussion and point by point answers were given by the Defence Minister. He said it was not good to stall Lok Sabha proceedings like this and that the media report was not correct. Amid the shouting and sloganeering, Sitharaman entered the House and made a suo motu statement. "They are flogging a dead horse. Periodical enquiries by the PMO cannot be construed as interference," she said during the Zero Hour. The Defence Minister charged the opposition with playing into the the hands of multinational companies and vested interests and not working in the interests of the Indian Air Force. Referring to the report, which claimed that the then Defence Secretary had objected to the PMO allegedly conducting price negotiations with the French company, Sitharaman said the then Defence Minister Manohar Parrikar had replied to the letter asking the official to remain "calm" as everything was "alright". Sitharaman also alleged that the then Chairperson of the National Advisory Council Sonia Gandhi used to run the PMO regularly during the UPA regime. "Was that not interference?," she asked.